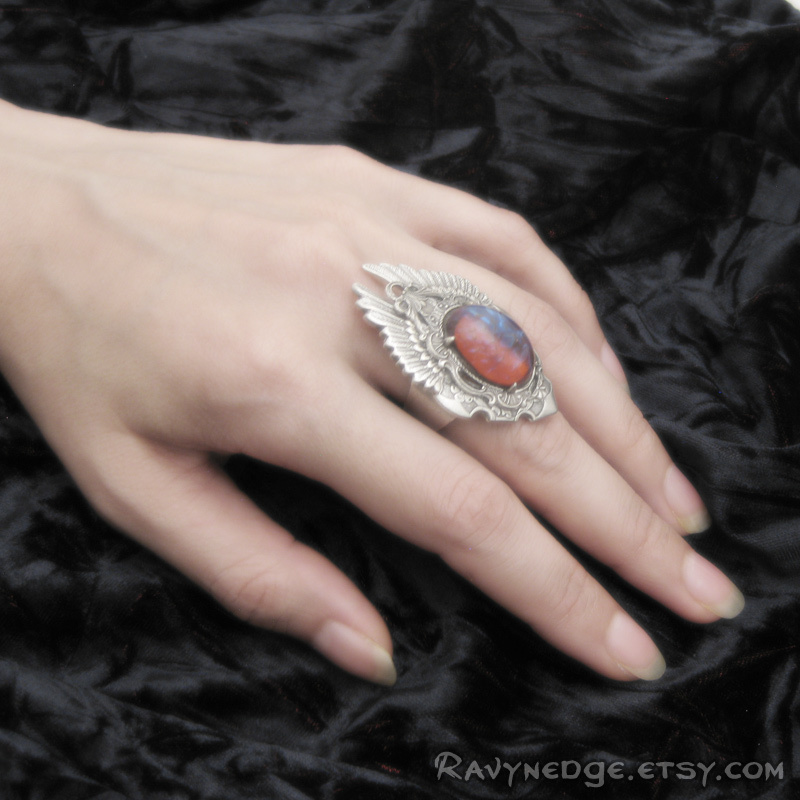 Eye Of The Phoenix Ring I - Dragon's Breath and Silver Wings Adjustable Ring by RavynEdge. 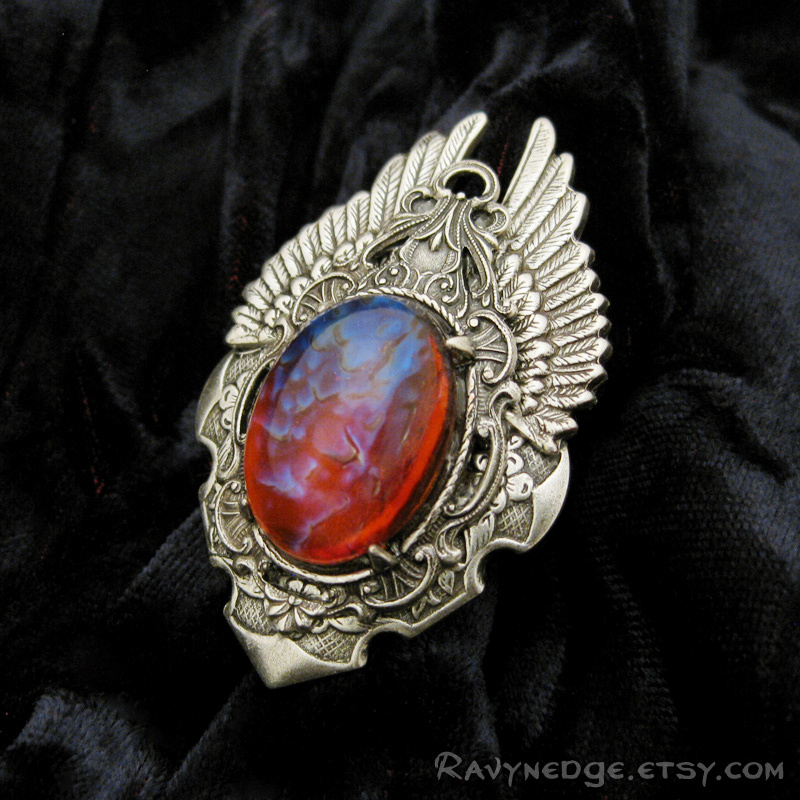 To compliment my "Legendary" series of pendants, Eye of the Phoenix is smaller in size and yet maintains an impressive and unique appearance. 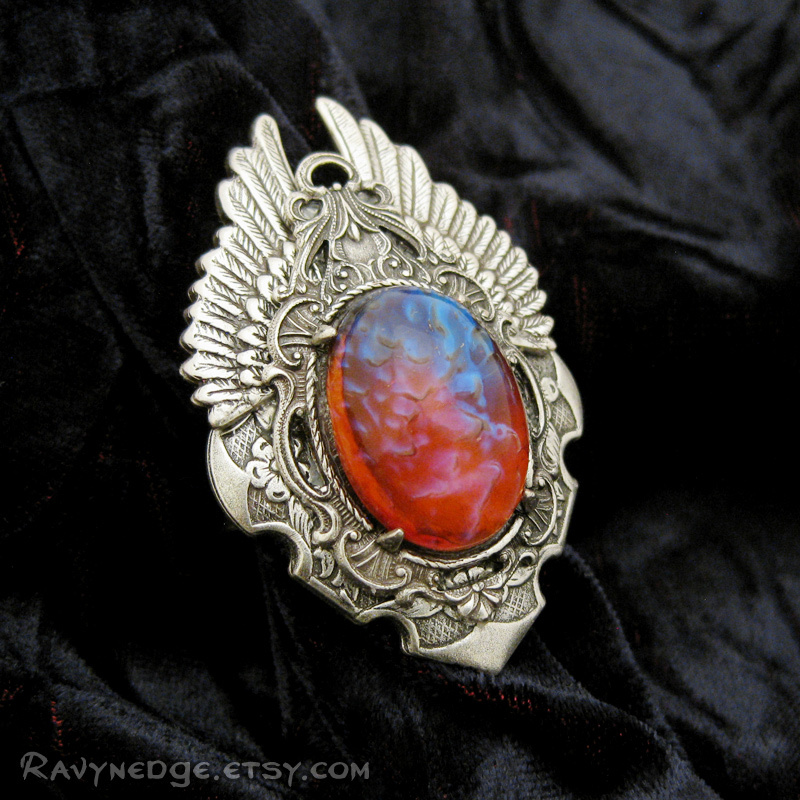 Sweetly detailed angel wings and flourishes of filigree create the setting for a gorgeous phoenix "eye" of mexican fire opal glass. 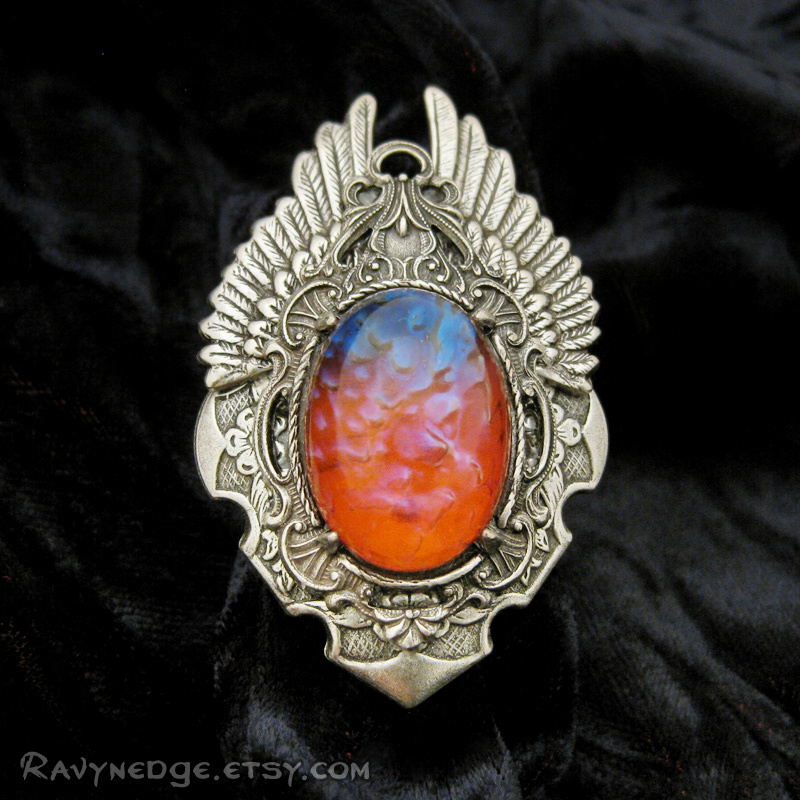 The mexican fire opal or "Dragon's Breath" is one of my favorite stones because of the beautiful blue "fire" that flashes through the reddish orange glass. The fire within changes with the lighting. Each of these glass opals are one of a kind and the photographs really don't capture their true beauty.